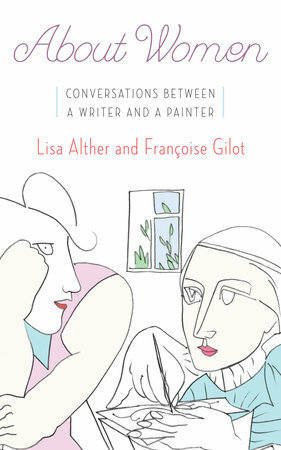 About Women: Conversations between a writer and a painter by Lisa Alther and Francoise Gilot is an interesting non-fiction book. Reading much like a play with two famous women as the main characters sans stage directions, the book is an ongoing dialogue between a well-known writer and painter who have an enduring friendship. Their discussions cover many topics and reveal their innermost thoughts and feelings about art, life, and love. There were many things I enjoyed about this book. While reading it, I missed my dearest friends and sisters with whom I am able to have similar deep discussions. The book contains many pearls of wisdom. It is not something you can read quickly; you need to take these discussions slowly. There is great food for further rumination. I recommend this book be read with a good friend and a glass of wine. This entry was posted in Uncategorized and tagged About Women, art, Books, France, francoise gilot, lisa alther, non-fiction, Paris, Picasso, tennessee, women, writing, ww1, ww2. Bookmark the permalink. This is such an amazing post. I really love your blog so much and in turn cannot stop reading all of your posts! I appreciate your compliment! You have a good blog as well! Is it possible to have a non-fiction novel? I thought novels fell into the category of fiction. I stand corrected! Thank you for teaching me a distinction exists! HI DEAR READERS! TODAY WE GOT A TIP ABOUT BOOKS. CHEERS !